This is a gripping and always entertaining story of an ordinary man’s struggle against a criminal psychopath. The General and I leaves you in no doubt which version you should believe. Wolfgang Eulitz worked hard on Dublin’s notorious Leeson Street. 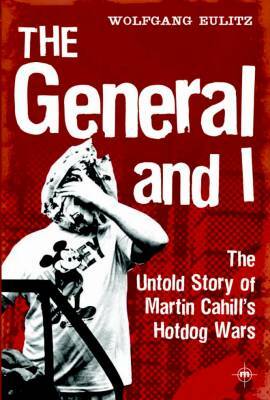 After four successful years of witnessing the chaos and characters of Dublin’s nightlife, Martin Cahill appeared and tried to muscle in on Eulitz’s lucrative business. The hot dog wars had begun. Wolfgang Eulitz reveals that the popular perception that Martin Cahill as an ‘ordinary decent criminal’ is completely wrong, and that he was instead a cruel, sadistic and dangerous thug intent on destroying other peoples’ livelihoods.